flatlandBEER | Canadian prairie beer-related stuff & things. Canadian prairie beer-related stuff & things. It’s the moment you’ve been waiting for, Saskies… the government wants to know what reforms our liquor retailing system needs. I’ve mentioned my opinion on this subject before (even more often on Twitter). The government has framed the discussion as one of “liquor retailing,” and isn’t opening the door (at the moment) to reviewing warehousing, distribution, tax policy, mark-up policy, etc. I’d be happy to see vastly expanded private liquor retailing, but without further reforms, it’s just tinkering around the edges (important tinkering, but tinkering nonetheless). True reform also requires a review of the government’s involvement in ALL aspects of Saskatchewan’s liquor regime. 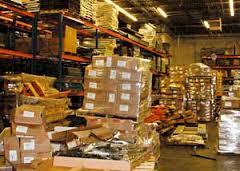 If private stores are still required to source through SLGA’s antiquated warehousing, special order & distribution system, it’s not much better than status quo. SLGA’s inventory system is antiquated. It simply can’t handle the number of unique products that a modern liquor system must carry. To their credit, in many cases they’ve clearly attempted back-end work-arounds… but the fact is that each new product essentially means de-listing another product, or finding a work-around. This is a clear disincentive to carrying new products, engaging local producers, or simply keeping up. Yes, the SLGA has selected a new inventory management platform, and are building a new warehouse, but both of these illustrate the problem with the current environment… SLGA… moves…. at… a… snail’s…………..pace. These should have been in place years ago – in anticipation of a changing retail environment (the changes haven’t exactly snuck up on us over the past year or two). From what I hear, the inventory system is significantly behind schedule – so I wouldn’t bet on improvements any time soon. A Local First policy is also critical if SLGA is to remain relevant in the retail landscape. Use the public system for the primary reason it was created: achieving public policy goals (the other key goal is obviously revenue). A stated public policy goal of this government is encouraging investment & economic growth. Entrepreneurs are key drivers of this growth. Let’s use SLGA stores a vehicle to showcase our local craft breweries, distilleries & wineries & encourage more entrepreneurs to enter the market. BC, Ontario & Quebec all use their public liquor stores to showcase local products. Rather than giving local SLGA managers the option, mandate that any public store a Saskatchewan producer wishes to be carried in, must accommodate the local product (ahead of other products). If we expect private retailers to come to this province, we need to correct a glaring conflict of interest. I don’t mind the provincial government continuing to operate a system of public liquor stores – but the field must be level. At present, the SLGA is in a clear conflict-of-interest: they are both the regulator of all liquor retailers (public & private) in Saskatchewan, AND a direct competitor to the private retailers. Imagine if Coca-Cola regulated Pepsi. Or Apple regulated Google. It’s nonsense. Even looking at other public bodies – SaskTel doesn’t regulate Bell, Telus or Rogers’ Saskatchewan operations… If public stores are to remain alongside private stores, the Government of Saskatchewan must separate SLGA’s retail/warehousing/distribution & Regulatory functions. The most logical model is a Crown Corporation (let’s call it SaskLiquor). Specifically, the structure should ensure that SaskLiquor has no direct or indirect reporting relationship with the liquor regulators at SLGA. Why is this split necessary? Simple: transparency & fairness. When Willow Park was granted a liquor franchise, there were conditions applied to their license. One of these conditions was that they must order all product through SLGA. OK, sure… seems somewhat reasonable. Another condition was that they couldn’t carry any products that SLGA carried. The intent was for Willow Park to delivery niche products…so this requirement made some sense. An interesting thing happened, though. The products that were selling well at Willow Park started getting listed & carried by the SLGA (pure coincidence, I’m sure – SLGA didn’t cherry-pick using insider business knowledge). Great for consumers, not so great for Willow Park, as SLGA’s move forced them to stop carrying their best-selling products. Under the new licences, private stores can carry any products they wish – even if SLGA carries them – so the specific scenario above is now moot, but the principle remains: private retailers are at a severe disadvantage if their largest competitor also has the authority to dictate the rules of the game, or use insider information to gain a competitive advantage… this is the current situation in Saskatchewan. If Premier Wall truly wishes to develop a competitive environment for liquor retailing in Saskatchewan, the private stores must have confidence that they will be able to compete fairly with the public system. * because this sounds better than saying that “life” and “my day job” took priority for a few months. Sometimes I start a Facebook post, and it ends up as a blog-worthy rant: case-in-point => yesterday’s Post on the Flatland BEER Facebook page. Mr. Morris’ comment implies a certain attitude towards beer – perhaps he’s reflecting general public sentiment, or perhaps he’s reflecting SLGA’s attitude… either way, I find it irritating. Regarless, progress is progress – right? The Saskatchewan government has undoubtedly taken major steps to modernizing the antiquated liquor laws in this province (servers can even wear Spandex around alcohol without worrying about a liquor inspector shutting the business down – this was an actual issue the government previously saw fit to regulate… much to the joy of several media outlets). The next big step? Make accessing Saskatchewan-made beer (liquor and wines) as easy in Sask as it is to access Sask beer in Alberta. And easy, it is: walk into virtually any full-scale liquor store in AB, and you’ll find multiple styles of Saskatoon’s Paddock Wood Brewing Co. (Paddock Wood is also available at The Beer Store & LCBO in Ontario). Other provinces – such as BC, Ontario & Quebec have implemented “local-first policies.” These don’t mean major producers are turfed, it simply means local producers essentially get first first of refusal to shelf & SKU space… especially important in high-traffic aisles of the store. Baby steps, I know. And we do see some excellent stores & store managers (Normanview in Regina has a great refrigerated section, and South Albert consistently seems responsive), but this shouldn’t be up to individual consumers lobbying individual store managers to bring in interesting, unique, local products… the public liquor system was explicitly created as a public policy vehicle: this is well within the SLGA’s mandate. The recent announcement that the Toronto Blue Jays’ home – Rogers Centre – would enter the 2014 season with the dubious honour of being the only Major League Baseball stadium not offering any craft beer got me thinking about the crossroad between Canadian sport, and beer. As a country, I think it’s safe to say we are known for our love of beer. Ask someone what comes to mind when they think of Canada, and beer is likely right up there with Mounties, moose, & snow. Despite this, our pro sports teams seem to have a decidedly cool approach to beer. Sure, you’ll find “beer” at every CFL, NHL, NBA & MLB stadium and arena in Canada, no question. But will you find beer that represents Canada? Or, more appropriately: that represents the team’s region? The area its fans call home? Not likely. Yes, Molson, Labatts & Sleeman all have long & storied connection to Canada, but none of them are Canadian. They are all owned by foreign conglomerates (Molson-Coors; AB InBev; and Saporro, respectively). This isn’t to say that they have no place in our sports facilities – they do… just as local craft beers should. not to renew it after only one season (granted, they grudgingly signed the deal after it was noted in 2013 that they were the only MLB stadium without craft beer). The decision is especially odd, given Steam Whistle’s proximity to Rogers Centre – literally within the stadium’s shadow. So what’s the deal in Canada? Granted, our craft beer scene isn’t nearly as mature as that in the US, but to find a true craft beer (not a macro beer marketed as a craft beer) at a Canadian stadium or arena is rarer than it should be. Thankfully, we appear to have an excellent beachhead in the CFL’s Ottawa REDBLACKS. Their home stadium – TD Place – signed a deal with AB InBev (Labatt) which explicitly allows local craft beer to be served at the stadium. The Saskatchewan Roughriders & City of Regina would be wise to consider the situation at TD Place as they design Regina’s new $278 million stadium, and negotiate deals with service providers. Th e Riders are a community-owned team. They encourage their players to become active members of the community. The team gives back to the community in a variety of ways. Giving back to local and regional entrepreneurs fits with the Roughriders’ community-focused mandate. In addition to well established craft brewers such as Regina’s Bushwakker, and Saskatoon’s Paddock Wood, Saskatchewan has seen an explosion of Craft Brewers in the past year – at least 3 new breweries opening in 2013 (District Brewing, Prairie Sun, & Bin Brewing), with at least 2 more to come in 2014 (Black Bridge Brewery & Rebellion Brewing). These breweries are owned locally. They are a part of the RiderNation. The Roughriders are in a unique negotiating position: as one of the top sports brands in Canada, they are in the power position when negotiating with Canada’s big foreign-owned breweries. The Riders can set the terms. These breweries are salavating to get a piece of the marketing machine that is the Saskatchewan Roughriders (only the Toronto Maple Leafs & the Montreal Canadiens sell more merchandise than the Riders… in fact, the Riders account for 70% of the CFL’s merchandise sales). We can use this fact to stand up for our regional beers & breweries. Does this mean shutting out a macro-brewery like Molson or Labatt? Absolutely not. As demonstrated by the Ottawa REDBLACKS, craft beer & mass-produced beer can co-exist. As a matter of fact, experience in the US is showing that craft beer is driving sales volume up, as well as a disproportionate spike in revenue. Of course, all the theory in the world may not matter if the fans don’t support local craft beer options – it comes down to basic dollars and cents. We’ll never know if we don’t try: given the solid financial position the Riders are in, the growing community of craft brewers in Saskatchewan, and the opportunity a new stadium presents, there hasn’t been a better time in Rider history to take a strategic risk & support their community’s entrepreneurs at the same time. If the US experience plays out in Canada, it would be good for RiderNation. It would be good for the Roughriders’ bottom line. And it would be great for our regional craft brewers. Saskatchewan becoming the first province in Canada to permit equity crowdfunding got a fair bit of play in the media shortly after its announcement late last year. To date, the excitement hasn’t translated into many (if any) tangible results – but adapting to anything new takes time. I believe equity crowdfunding provides an amazing opportunity to grow the already booming craft brewing, distilling, and winemaking industry in Saskatchewan. OK, so what makes Saskatchewan’s new legislation unique? Kickstarter, Indiegogo, and other platforms have been used to crowdfund start-ups, charitable campaigns, humanitarian efforts, etc for years. Sask’s legislation allows for equity in a company (i.e. : ownership/ shares) to be offered in return for an a crowdfunding investment. Typically, offerings of this nature would go through extensive (and expensive) regulatory review and approval – these obstacles could be show-stoppers for a small craft beer start-up. Saskatchewan isn’t the first jurisdiction to permit equity crowdfunding – Ontario has dabble it’s feet; and several US states have legislation in place to permit and regulate equity crowdfunding. In fact, CrowdBrewed is a US website devoted to equity crowdfunding breweries. All About Beer magazine wrote a great article about the crowdfunding model and it’s application to the craft brew scene. Equity crowd funding provides a unique opportunity to raise capital – in return for equity – with significantly less red tape. Note I said “less” red tape – not none… SK’s financial regulator still reviews the structure of crowdfunding websites, and of offerings that are going live. The interesting thing about the regulatory review is that the government uses the phrase “no news is good news” when discussing regulatory approval. So long as a crowdfunding website submits the required paperwork 30 days before going live (10 days, in the case of a business wishing to equity crowdfund), they are good to go if they hear nothing from the government by the stated go-live date. For those who have dealt with red tape before, this element alone is huge! Unless the government explicitly says no within the 30 (or 10) days, Approval is implied. Businesses can make two, six-month offerings of $150,000 each over the course of a year. No person may invest more than $1,500 in an offering. Despite facing some regulatory hurdles, equity crowdfunding provides quite the opportunity to float an idea to the masses, garner support from like-minded craft beer drinkers, and (hopefully) join the Saskatchewan craft beer boom (3 new breweries in 2013 and at least 2 new ones confirmed for 2014). The idea of many people providing (relatively) small amounts of money is something most Saskatchewan folks can relate to – Kinsmen TeleMiracle is an excellent example of crowdfunding. For nearly 40 years, TeleMiracle has taken to the airwaves one a year for 20 hours straight. Over the course of these 20 hours, the telethon raises immense amounts of money through multiple small donations. $5.3 million was raised in 2014, amounting to about $5 for every resident in the province. Just to the east of the Saskatchewan border rests an example of a start-up brewery hoping to leverage crowdfunding to kickstart their business. Prodigal Sons Brewery (Twitter | Facebook) announced their intention to start a brewery near Winkler, Manitoba last week. They are currently running an Indiegogo campaign to raise funds in support of the brewery. At the moment, they haven’t raised any funds – so if you think it’s an interesting idea, consider supporting the campaign (deadline is June 3, 2014). Of course, an even more stereotypically Saskatchewan way of starting a brewery is the Co-operative model. And the co-op is exactly what a group of folks in Saskatoon are hoping to use to get their brewery off the ground. If you haven’t had heard of Temperance Brewing Co-operative, have a look at their Facebook page & give them a Follow on Twitter (hopefully we’ll be hearing more about them soon). So what’s this post about? It’s about my desire to see new craft brewers, distillers & winemakers enter the Saskatchewan market. The liquor landscape in Saskatchewan has changed a fair bit over the past 20 years, and some of the most dramatic changes have occurred in the past 2 years. I suspect some of the opportunities have been lost in the shuffle. There are amazing home brewers making the leap into the world of Saskatchewan craft brewing… but there could be more lurking in the woodwork, unaware of the options available to them, and the support that exists in the community. The future of private liquor retailing in Saskatchewan? I’ll preface this post by saying that effective & responsive Crown Corporations (and government entities) can play an important role in the marketplace. ATB, SaskTel, Manitoba Hydro, and public Liquor Boards/Commissions (such as the SLGA in Sask, LCBO in Ontario, or SAQ in Quebec) play multiple roles in the market. Key among these roles is achieving a public policy objective. The key descriptors for me are effective, responsive & relevant. I was looking at the history of Regina’s Bushwakker Brew Pub and noticed that the provincial government took a similar approach to easing the public into the brewpub concept as seems to be playing out with the privatization of liquor sales. In 1989, the Conservative government issued licenses for 4 brewpubs (2 in Regina, 2 in Saskatoon). This served to test public opinion, and to give incumbent hotel Off-Sales time to adjust to the new market reality. Obviously, over time the government expanded brewpub licensing extensively. So, the government has exited the liquor retailing scene for all new liquor stores. They will continue to operate the existing network of public stores (LBs) – competing directly with the private sector. At some point, it would seem to make sense to consider flipping the switch & privatizing liquor warehousing/retailing completely (though, this logic could be extended to SaskTel, which has competed directly with the private sector (and a co-op) for years in the provision of television, Internet, local phone, and cellular services… and there’s little indication of a looming SaskTel privatization). Privatization of liquor retailing and warehousing is certainly a way for government to have their cake & eat it too: they get out of the expensive bricks/mortar retail operation (and potentially warehousing), but maintain public policy control, and a revenue stream (they still charge markup on products). Really, I don’t care who sells the alcohol to me (or my pub) – so my gripe isn’t with the public system itself… it’s with SLGA’s attitude: customer service, continuous improvement, responsiveness to changing needs seem almost non-existent. While it’s true that a customer can theoretically order almost any product in the world, there are minimum order requirements & layers of bureaucratic red tape that leaves even seasoned veterans – such as Willow Park Wines (currently SK’s only private liquor store) & Beer Brothers – shaking their heads. Beer Brothers had a near constant supply issue for the first few years of operation – and they quite publicly placed much of the blame at SLGA’s feet (along with some positive suggestions, of course). As a point of reference, AGLC indicates they had 2,200 products available at the time of privatization. They currently maintain an inventory of over 19,000 products (with 33,000 registered in their system). In terms of retail, in 1993, Edmonton had 23 liquor stores – they currently have 262 liquor retailers. The other issue I have with the current system is SLGA’s apparent disinterest in regional brewers & distillers. Saskatchewan producers indicate that getting their Sask-made product into SLGA stores is exceptionally difficult. Molson/Labatt/Sleemans had a strangle-hold on SKUs & SLGA seems exceptionally happy to bend over backwards to stock the macro-brewers’ products. It is not much of a stretch for the government to implement a public policy preference for local/regional products. This doesn’t mean not responding consumers, it simply means giving a bit of a leg-up to local/regional brewers. We see public policy policies giving preference, or a leg-up, to wine & craft beer producers in BC, AB & ON – why not Saskatchewan producers? I have seen much better selection (& product rotation/refrigeration) of Paddock Wood’s products in several Alberta liquor stores than I’ve ever seen in a Saskatchewan LB. This is an award-winning brewery…being treated like gold in another province, but like a second-class citizen at home. Sad. While it’s nice to see SLGA trying to improve (e.g. marginally improved craft beer selection), it strikes me as too little, too late. Rather than committing to build a brand new warehouse in Regina, it would have been interesting to explore a warehousing partnership with Alberta under the frame of the New West Partnership (especially given that Alberta will break ground on an $80-million warehouse & logistics facility within days). The benefits to Saskatchewan under such a partnership include access to products not otherwise available (due to minimum purchase requirements); reduced overhead costs; volume discounts; and access to a state of the art facility & dedicated logistics partner. 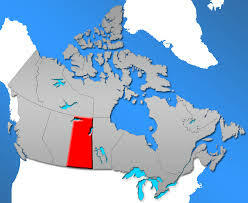 Presumably, Sask could offset Alberta’s incremental costs, and contribute to operational costs. Many of the warehouse expenses are sunk costs – so Sask’s contribution could result in (marginally) reduced costs to Alberta taxpayers/consumers (not to mention, offload the cost to Sask taxpayers of building, maintaining & operating a warehouse and distribution network). Of course, privatization is not all puppies & rainbows. Over the 20 years since Alberta privatized their liquor system, several reports have examined the impact on selection and pricing. Pricing is also a constant debate – on the one hand, we certainly hear of the incredible deals that are to be had at Superstore Liquor & Costco via loss-leaders. The overall price of a product in Alberta can vary widely … it is the free market, after all. Some reports indicate that Alberta held the dubious honour of the highest liquor prices in Canada (until last year, when Sask edged them out)… despite privatization. Of course, other reports – such as the Mark Milke’s report for the Fraser Institute – debate this point. The Edmonton Journal & Huffington Post looked at Alberta’s changed landscape, the benefits, and the pitfalls. David Campanella’s paper specifically recommended Sask not follow Alberta’s lead. Saskatchewan consumers are starting to wake up to the great craft beers that are out there. They are beginning to see Molson-Coors, InBev & other macros for what they are: purveyors of low-quality liquid. They are asking for better product selection. SLGA is responding – albeit slowly – by introducing craft beer section with A-list products from brewers such as Rogue, Brooklyn, Half Pints, etc… but the selection is still quite limited, and most LBs still feature very few local products (in fact, the private sector Off-Sales seem more responsive to local producers). The next couple of years will be very interesting for Saskatchewan craft beer enthusiasts – let’s just hope the provincial government takes a close look at the Alberta experience, and cherry-picks the best features for Saskatchewan consumers. Why a Canadian prairie beer blog? The simple answer is because the craft brewing scene is booming on the prairies right now, and the exciting developments are being covered in dribs & drabs in traditional media (for example, via Cody Lobreau‘s column in the Brandon Sun) and on social media… and this is great – but the Ontario, Quebec & BC craft beer scene seems to overwhelm the conversation (for good reason – these provinces have well established craft industries). I don’t know where this blog will go, but I hope to use it as a platform to explore & expose some of the exciting activity currently taking place on the Canadian Prairies & Territories. Please follow me on Twitter (@flatlandBEER); Facebook; and subscribe to the flatlandBEER Weekly newsletter. Enter your email address to follow flatlandBEER & receive notifications of new posts by email.